There is no better way to enjoy asparagus than to roast it! Roasting asparagus is a simple and delicious way to prepare this vegetable. The asparagus is crunchy yet tender, and rich in flavour. You’ll never boil it again. For some reason I’m craving asparagus lately. I’ve eaten it 3 times since Sunday, yes, 3 times. Maybe it’s my longing for spring. 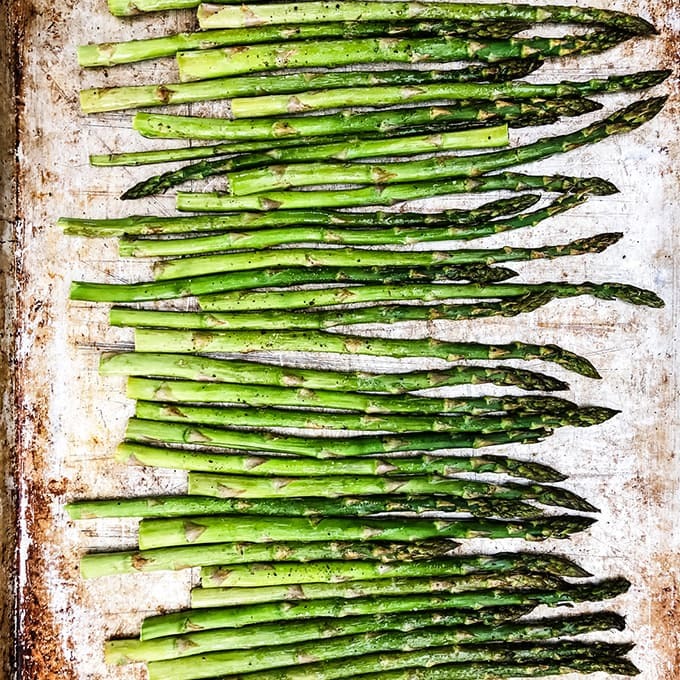 Or maybe it’s this delicious way it’s prepared…there’s no better way to prepare asparagus than to roast it! 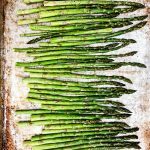 A few years ago I discovered this no-mush, no-fail way to cook asparagus. I used to boil asparagus because that was just what I thought you did…it’s the only way I ever saw anyone make it. But I’m here to tell you that you should never boil your asparagus ever again. No one likes mushy, colourless asparagus. 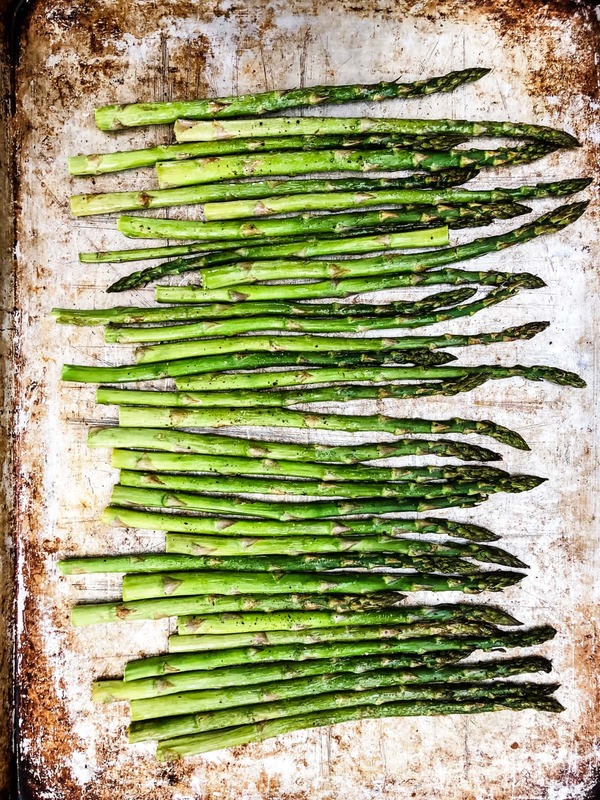 The key to delicious asparagus is to roast it in your oven. Roasting it is the only way I’ll ever make asparagus. It’s quick, easy and comes out bright, tender, crunchy and rich in flavour every single time. I hope you’ll try it like this too! 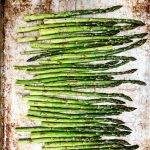 Lay the asparagus in one row, on a cookie sheet. Drizzle with olive oil, then generously season them with salt and pepper. 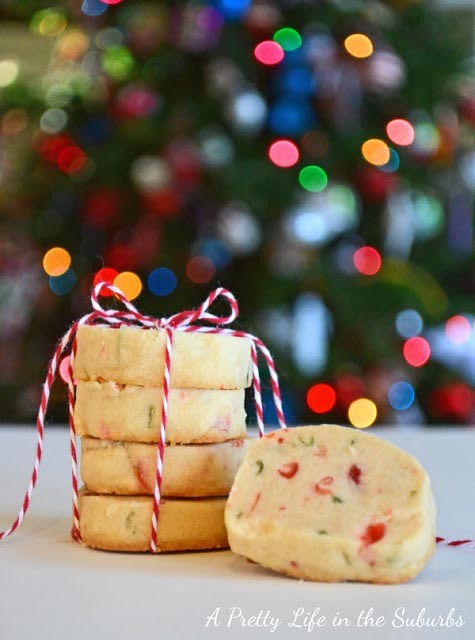 Bake for 5-10 minutes. Make sure to watch them closely so they don’t burn or overcook. Superb! Have a delicious day! Hmm…Sounds delicious…I see them in the grocery store and dont know how to prepare them but this sounds like a really yummy way to do it…My parents put them on the grill. YUM!! I love them too – sometimes I toss fresh chopped ones into a salad. Sounds like a delish way to make them. I’ll have to try it. 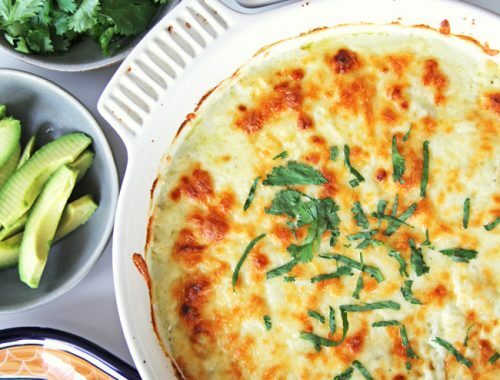 I always make mine in an asparagus steamer, which boils the bottom and steams the tops. I have only been married and cooking for myself for a very short while. I bought some asparagus the other day having no idea how to fix it. I just happened across your blog yesterday, and this was the top post! I tried this, and I loved it! I also enjoyed looking through your blog. I used your crunchy chicken recipe last night as well! Hi, it’s asparagus season over here in Sydney and I am just pulling together a post on asparagus recipes for my little blog and was going to put in a link to this one, if ok with you? 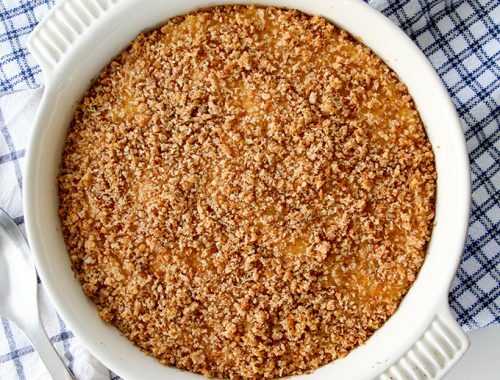 Such a simple but delicious recipe, love it.